I’m not the biggest fan of Fallout: New Vegas, but there was one mechanic that the non-numbered sequel introduced that immediately set it apart from its predecessor. Giving players to the power to decide the fates of varying factions roaming the Wasteland was engaging – and it’s something I hoped to see in Fallout 4. Thankfully, Todd Howard and his team have a direct line to my grey matter. 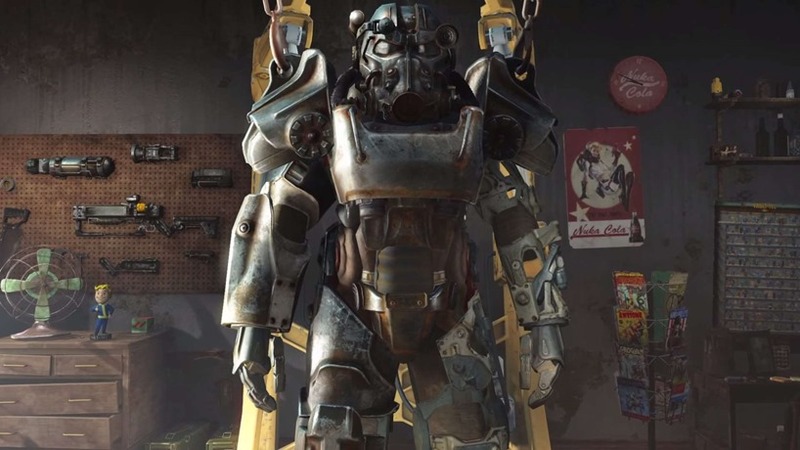 Fallout 4 is going to feature different rivalling factions, such as the roaming Brotherhood of Steel Battalion, the Commonwealth Minutemen and Raiders. During a new showcase behind closed doors at Quakecon, Howard explained how these factions explore the wasteland on their own – engaging in small skirmishes whether the player is involved or not. These little battles happen dynamically, and introduce interesting options for you as a player. You could, for example, intervene and aid any particular side. This presumably gains their favour, which could open up more story branches, dialogue options or access to loot. It also affects a more encompassing war that the factions are locked within, changing the world around you depending on the stronger side. Conversely, you could choose to let things play out from a distance and not interact with it at all. Fallout 4 is, of course, an RPG – so giving players this choice rather than forcing an allegiance is really a given at this point. Still, it’s a far more dynamic system than New Vegas (by the sounds of it), and I already know I’m going to struggle to choose between the Commonwealth and The Brotherhood should they ever choose to bash heads. In other words, November 10th couldn’t come sooner.